Well, it's the start of the year, and while I could give a "Best of 2010" list like everyone is probably doing right now, I'll freely admit that I haven't read as much in 2010 as I'd like to have read. See, not only am I in a third-world country in tough times, in a hobby that is not inexpensive, but I've also been saving up for quite a lot, since, in August, I made like Wally West, and my Linda Park said "yes." And sorry, Cubers, there's one thing I would give up my comics for, and that's a happy life with my girl. So, instead, I'll give off a list of things you guys should watch out for in 2011 - in other words, stuff I myself will be watching out for, because I'm very interested in how these things turn out. 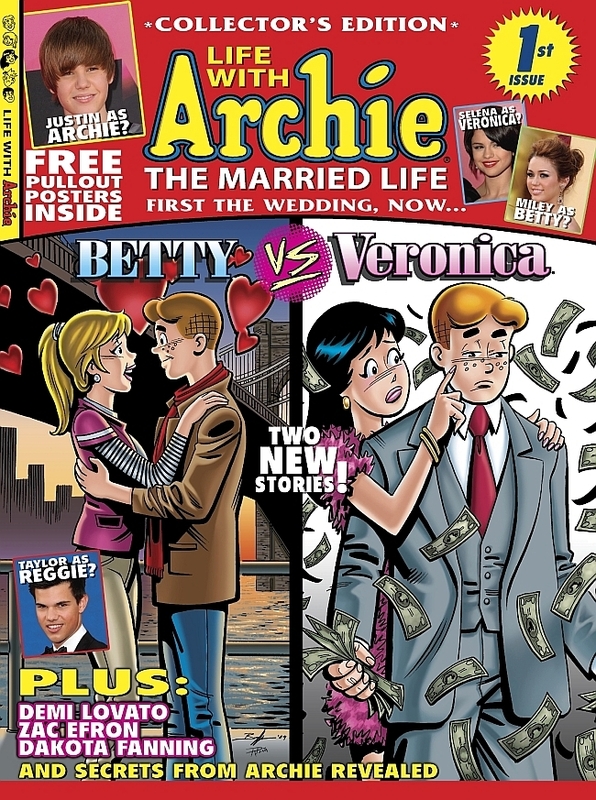 Publisher to Watch Out For: Archie Comics. Archie was really strong in 2010. 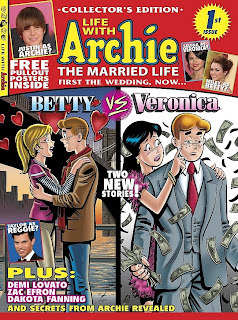 Fresh off the heels of THE ARCHIE WEDDING, Archie Comics hit the ground running with LIFE WITH ARCHIE: THE MARRIED LIFE, featuring two ongoing stories, each in an a different reality: one where Archie married Betty, and one where Archie married Veronica. The stories have been legitimately compelling and well-told, and the sales have been good - so good, in fact, that they're using the magazine to debut JINX, the adventures of a grown-up Li'l Jinx, and they're also releasing another magazine format called VERONICA AND BETTY. For the first time, it seems that Archie Comics has realized that showing their characters developing - in this case, showing different takes on their characters developing - is the way to go. Franchise to Watch Out For: Spider-Man. Brand New Day is over, and BIG TIME is here. With Dan Slott now as the sole Spider-Man writer, I think we are in for a run that can only be called a classic in the making. 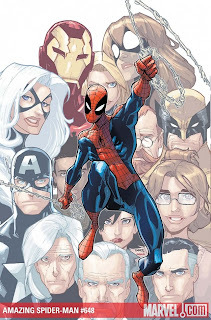 I think Slott has the writing capacity to match Roger Stern's classic run, and he's aided by artists that are just a perfect fit for Spider-Man in Stefano Caselli, Humberto Ramos, and my personal favorite, Marcos Martin. One More Day is done, Brand New Day is done, One Moment in Time is done. It's been three years since the infamous Peter Parker/Mary Jane Watson breakup, and the new status quo has retained AMAZING SPIDER-MAN's place on the charts despite it, meaning that (1) although there were people who disliked the new status quo and how it was reached, some people were attracted to it and it gained (or in my case, regained) readers as well, balancing out the net effect of reader gain/loss, (2) the people who complained about it for three years actually spent $322.92 to read a title they knew they wouldn't like just to complain about it, or most likely, (3) a little bit of both. It's been three years, I think the fans who didn't like it and went away are now ready to give the new status quo a chance, and Dan Slott really gets Spider-Man (as evidenced by this and this), so I think the decision to make Spider-Man single again can be fully judged by how well Big Time does. I, for one, can't wait to see it. 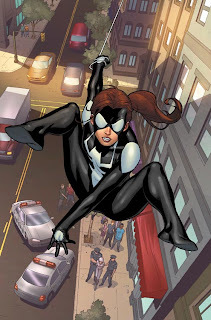 In addition, we've got a CARNAGE series and an OSBORN series, and, my personal favorite of the lot even if I haven't read it yet, a new SPIDER-GIRL by Paul Tobin and Clayton Henry. She's a Hispanic teenager in an overcrowded market - a really hard sell in today's day and age, which is all the more reason she needs the support. Up and Coming Writer to Watch Out For: JH Williams III. Anyone who knows JH Williams III by now should know that he puts in so much thought into drawing and coloring and designing even just a panel of any page of any comic he's working on. 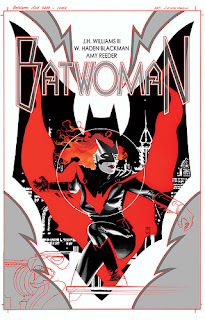 As the new regular writer of BATWOMAN, launching in February, I can't wait to see what JH comes up with for the rotating art team of himself and Amy Reeder Hadley. 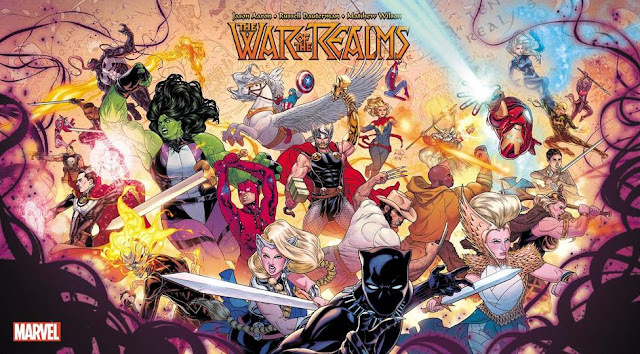 If he puts in half as much thought and effort into the writing as he does to the drawing, and if he's even half as good, we are in for a gigantic treat. Up and Coming Artist to Watch Out For: Nicola Scott. Nicola Scott is a clean, expressive artist whose style is still grounded in realism. 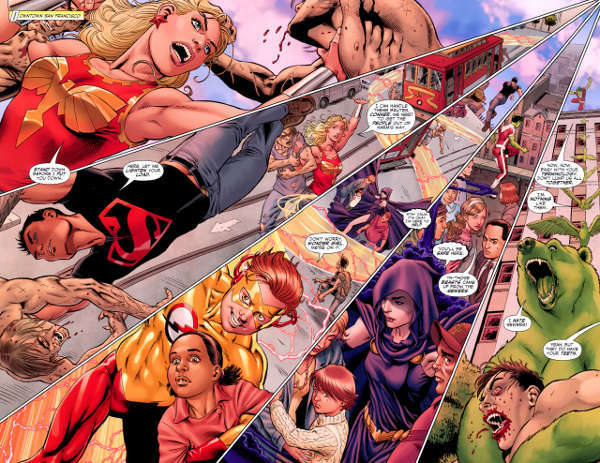 With her crisp figurework, excellent storytelling, and dynamic layouts, I'm actually bummed that I don't have any more room in my budget for her TEEN TITANS. Ongoing Series to Watch Out For: BATWOMAN. Take it from me - this is going to be the absolute best-looking book on the market. 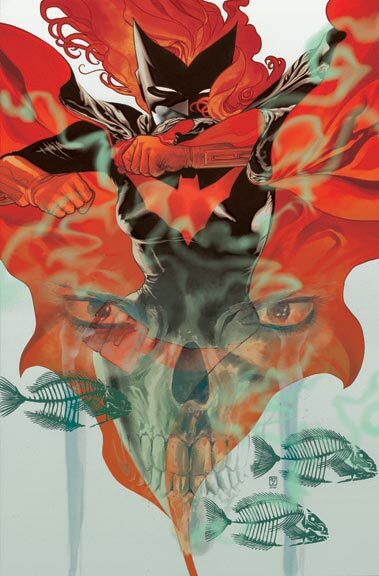 And it also doesn't hurt that Kate Kane is a legitimately engrossing character. 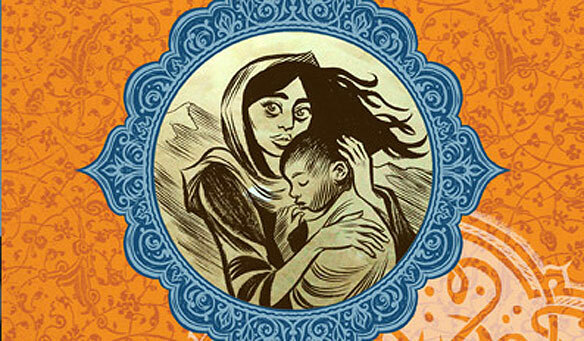 Original Graphic Novel to Watch Out For: HABIBI. 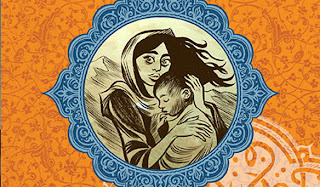 Craig Thompson has finished HABIBI, and I know absolutely nothing about it other than the fact that it's a story that has more action and adventure in it than he's known for (which is none at all) and that it takes place in the Middle East. While I don't think it's going to be as emotionally gutwrenching as GOOD-BYE CHUNKY RICE, I also don't think it'll be as self-indulgent as BLANKETS (see here), and if Craig puts in as much effort into HABIBI as he did with the other two books, I think we're in for a real treat. What You Should Try to Keep Track Of, Since I Have No Idea When It's Going to Get Done: Over at the Graphic Novel and Comic Book Creators in New York City, Art Spiegelman revealed that he is researching what could well be his next comix project. Art’s next potential research project is into the cartoonists of lurid ‘40s and ‘50s crime comics: Charlie Biro and Bob Wood. Biro was the publisher, and Wood was his editor—guilty of killing a girlfriend with an iron in a drunken rage. And I'm going to keep track of it, because it sounds like something I'm gonna want to read. 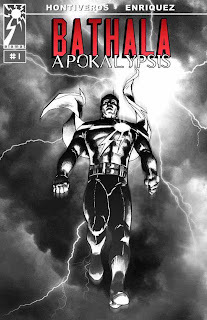 Filipino Komik that You Should Be Reading Next Year: BATHALA: APOKALYPSIS. 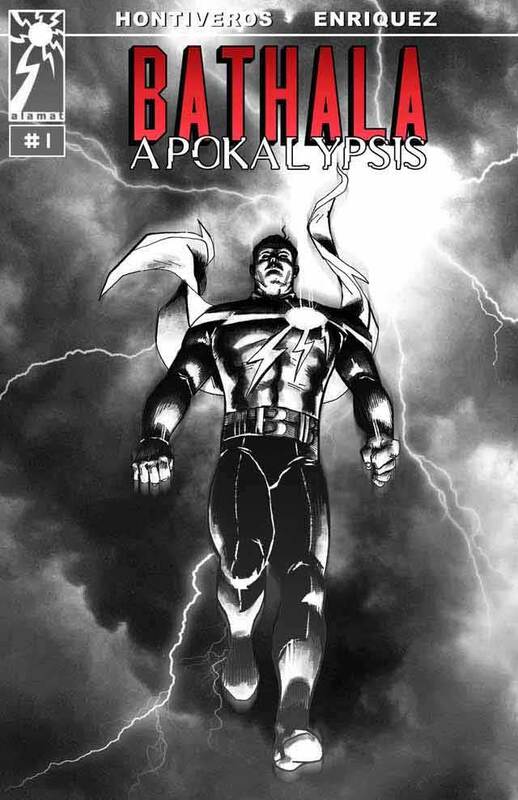 This story, by Dave Hontiveros and Ace Enriquez, about a Superman-like figure who has to fight the Apocalypse as depicted in the book of Revelations has been engrossing and enthralling so far. You can read my review of issue 1 here and issue 2 here. And you can read the entire series so far here. 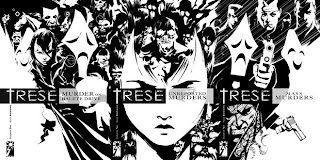 Filipino Big Komik that You Should Be Reading Next Year: Supposedly, TRESE BOOK 4 is coming out next year. 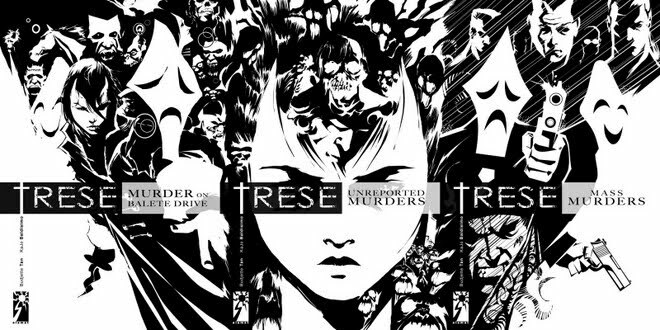 This series about a demon hunter in Manila dealing with demons of the local variety has been on par with anything ever released anywhere, and I cannot wait to read the next book. Graphic Novel You Should Buy if You Haven't Yet: ELMER. No matter where you are in the world, you should read ELMER. 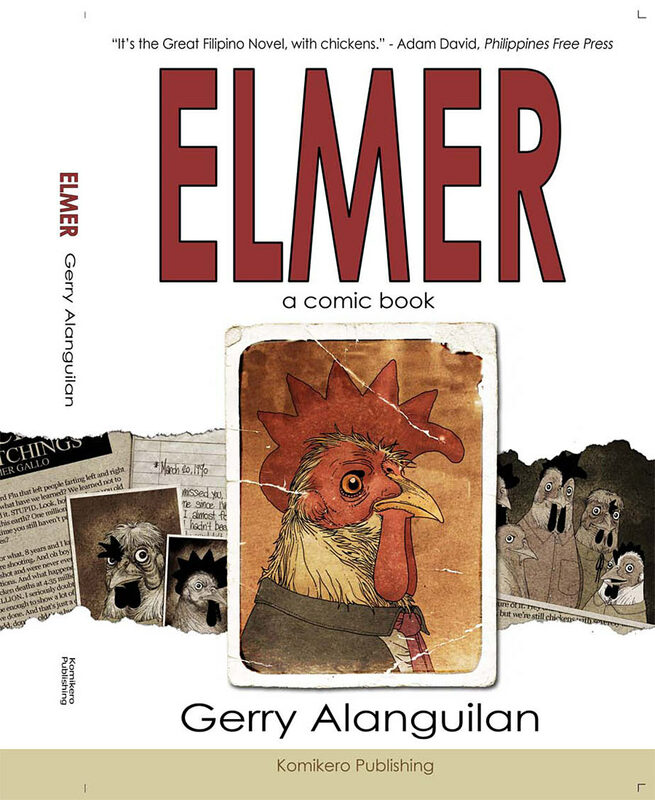 This comic by Gerry Alanguilan about a world in which chickens gain intelligence is heartwrenching and thought-provoking, and drawn with all the technical precision of a classicist artist.